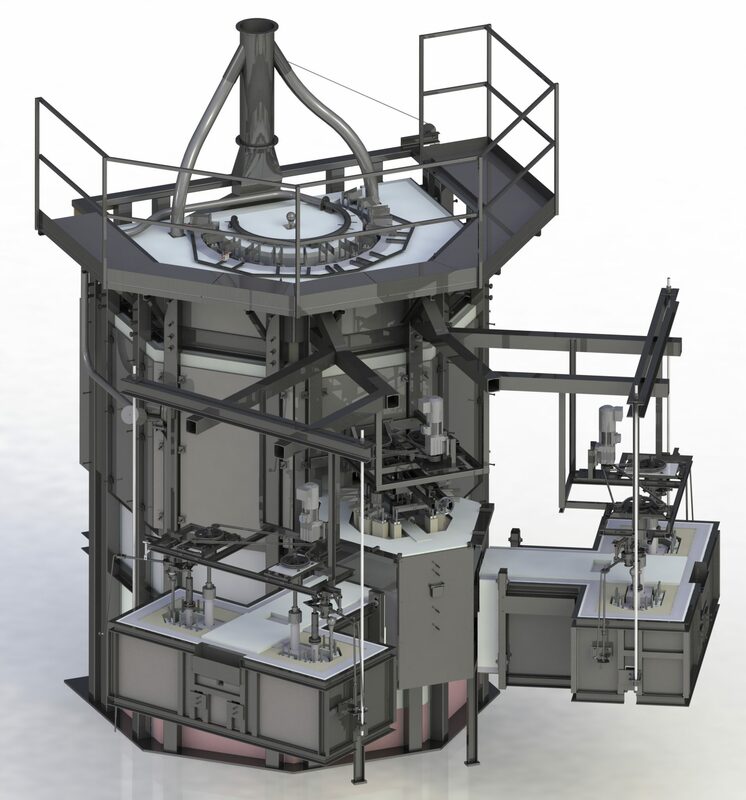 This type of furnace is designed for melting of optical or technical glasses. Main part of the furnace is the circular melting section with crucible in the middle and heating elements distributed around the crucible. Material of crucible is made from ceramic or from precious metal. 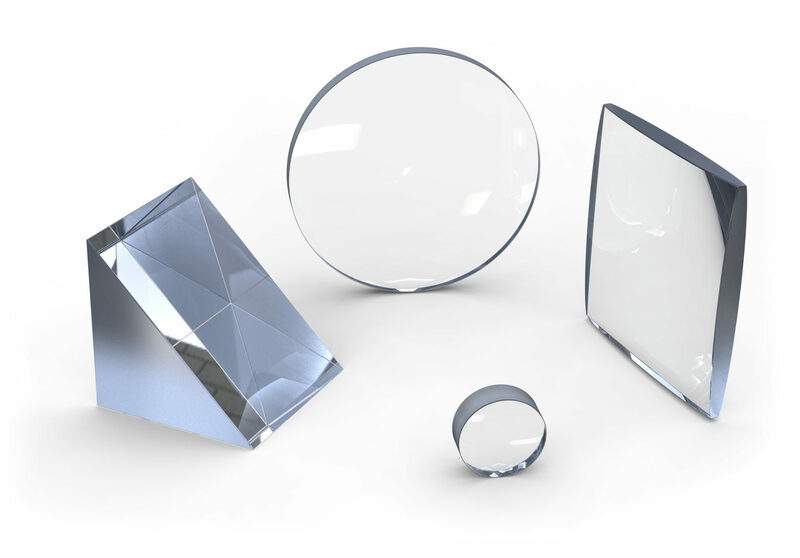 The used material of crucible is designed with respect to customer´s requirements and the type of the molten glass. The glass is processed in two basic ways. 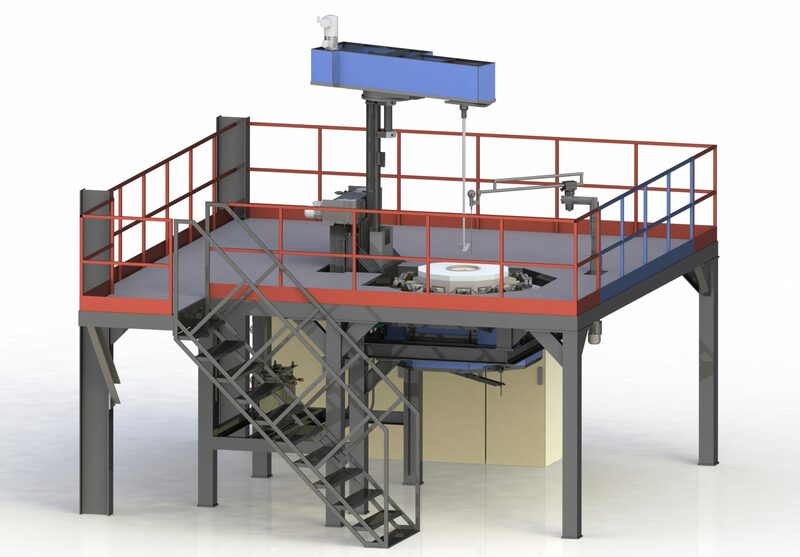 Ejecting the crucible with the glass into the lower position and subsequently handling the crucible with glass according to customer´s requirement, or draining into the mould using a separately heated and controlled outflow tube. The furnace can be equipped with a glass enhancer mixing unit, a thermocouple for direct glass temperature measurement and a bubbler unit. The furnace is controlled by PLC. The basic part of this furnace is our electric single pot furnace. This furnace is equipped with a device for manipulation with hot pot and pot with molten glass. The manipulator is designed to remove the pan from the furnace, pour the glass into the mold or insert the pan into the cooling furnace. The used material of pot is designed with respect to customer´s requirements and the type of molten glass. The choice of the pot material must be made with respect to temperature changes during the handling with pot. 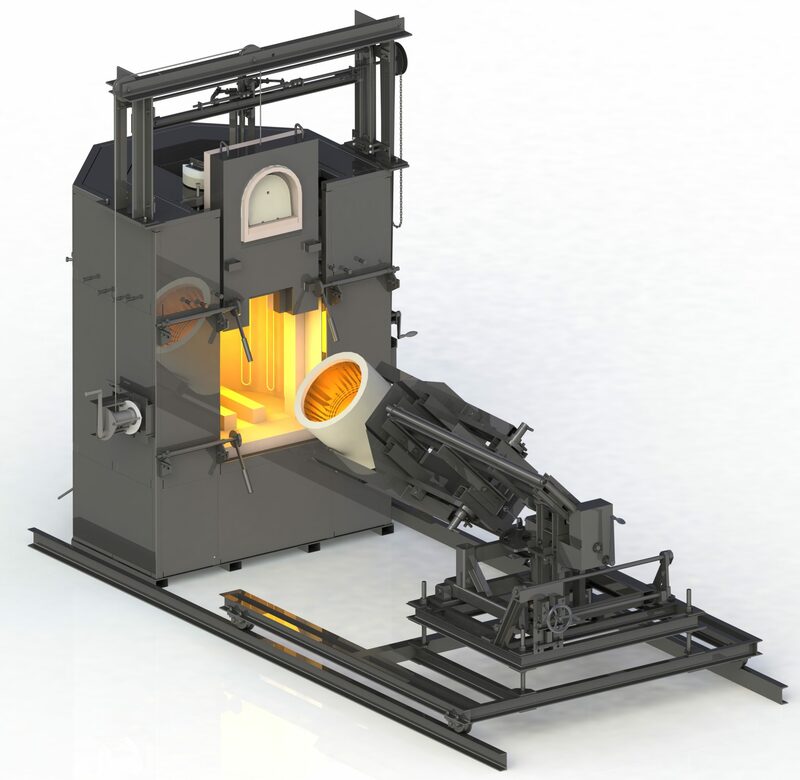 The furnace can be equipped with stirrer unit to increase the homogeneity of the molten glass in the pot. The furnace is controlled by automatic controller or PLC. This furnace is equipped with a device for discharging of the molten glass from the pot into the basin. One or two feeders are connected to the basin. The furnace, basin and feeders are heated electrically. The furnace on the picture has two feeders with two outflow tube each. The basin is equipped with two stirrers to increase the homogeneity of the glass. The feeder (outlet section) is designed based on customer´s requirements and used technology. The used material (for pot, basin and feeder) is designed with respect to customer´s requirements and the type of molten glass.